JERUSALEM (Reuters) - Israeli Prime Minister Benjamin Netanyahu is lobbying world powers to prevent further setbacks to Iraqi Kurds as they lose ground to Baghdad's army, Israeli officials say. Israel has been the only major power to endorse statehood for the Kurds, partly, say analysts, because it sees the ethnic group - whose population is split among Iraq, Turkey, Syria and Iran - as a buffer against shared adversaries. Iraqi armed forces retook the oil-rich Kirkuk region this week, following a Sept. 25 referendum on Kurdish independence that was rejected by Baghdad, delivering a blow to the Kurds' statehood quest. Israeli officials said Netanyahu raised the Iraqi Kurds' plight in phone calls with German Chancellor Angela Merkel last week and with Russian President Vladimir Putin on Wednesday. It has also come up in his contacts with France and the Israeli national security adviser, Meir Ben-Shabbat, has been discussing the matter with Trump administration officials in Washington this week, the officials said. A Netanyahu government official, who declined to be named, given the sensitivity of Israel-Kurdish ties, suggested Israel had security interests in Kurdistan, given its proximity to Israel's enemies in Tehran and Damascus. "It would be best if someone gave them weaponry, and whatever else, which we cannot give, obviously." Israel has maintained discreet military, intelligence and business ties with Kurds since the 1960s, in the absence of open ties between their autonomous region in northern Iraq and Israel. Netanyahu's recent lobbying has focused on Kurdish ambitions in Iraq, where the central Baghdad government has grown closer to Israel's foe Iran. "The issue at present is ... to prevent an attack on the Kurds, extermination of the Kurds and any harm to them, their autonomy and region, something that Turkey and Iran and internal Shi'ite and other powers in Iraq and part of the Iraqi government want," Netanyahu's intelligence minister, Israel Katz, told Tel Aviv radio station 102 FM on Friday. 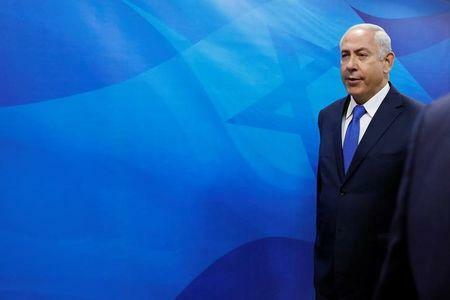 It was not clear to what extent Netanyahu's outreach may have been solicited by the Kurdish Regional Government (KRG) in northern Iraq, which shies away from public engagement with Israel, worried about further alienating Arab neighbours. The United Nations has voiced concern at reports that civilians, mainly Kurds, were being driven out of parts of northern Iraq retaken by Iraqi forces and their houses and businesses looted and destroyed. "The prime minister is certainly engaging the United States, Russia, Germany and France to stop the Kurds from being harmed," Katz said. Another Israeli official, speaking to Reuters on condition of anonymity, framed Netanyahu's efforts as a moral imperative. "They (Kurds) are a deeply pro-Western people who deserve support," he said.